What Do Painted Lady Butterflies Eat? How Long Do Painted Lady Butterflies Live? for years and primarily sell Painted Lady Butterflies for release; We know all about them! View a video of Painted Lady Butterflies flying. Many states across the U.S., especially Florida and California, order Painted Lady Butterflies to release from us for special events, including butterfly release for weddings, butterflies to release at funerals and butterflies to release at memorial services. 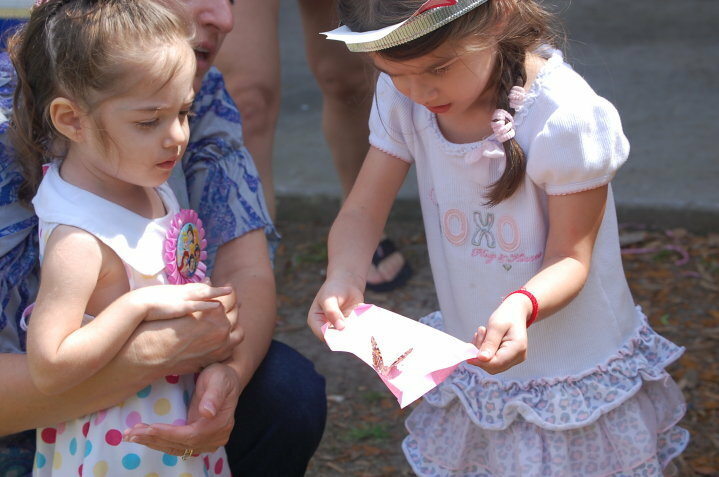 Read more after our Painted Lady Butterfly Release Packages below or click here to read more Painted Lady Butterfly information. FREE Dozen Painted Lady Butterflies to Release for Your Events! Buy Painted Lady Butterflies To Release for events such as but not limited to weddings, memorials and funerals and get a FREE Dozen Painted Ladies with any order of 100 or more Live Butterflies! ORDER NOW!! 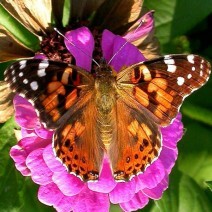 Your free Painted Lady butterflies will be automatically added to your order of 100 or more Painted Lady Butterflies!! The Painted Lady Butterfly scientific name is "Vanessa Cardui." The Painted Lady butterfly is one of the most widespread butterflies in the world. Sometimes, this butterfly is referred to as the Cosmopolitan butterfly, because these butterflies reside all over the world (with the exception of Australia and Antarctica). View a video of a Painted Lady Butterfly emerging from chrysalis. With mostly orange wings that have black spots as well as black edges with white spots, Painted Ladies are one of the most easily recognizable butterflies. They are also one of the most popular when it comes to having a butterfly release for special occasions. Get ready to learn about the life cycle and lifespan of the Painted Lady Butterfly. The Painted Lady starts its life as an egg. Females lay their eggs on their favorite foods, such as hollyhock or thistle. The eggs are tiny, approximately the size of a pinhead, and are pale green in color. Each egg has about a dozen longitudinal ridges. They incubate for only a few days. View a Painted Lady Life Cycle video below. When they are ready, the larvae, more commonly known as caterpillars, emerge from the eggs. Painted Lady caterpillars are a purple to black color with yellow-green stripes and long spines. When they hatch, they are hungry! The caterpillars eat constantly throughout their larvae stage. Their strong jaws tear through leaves with ease. And they grow about as fast as they eat. Their skin grows tighter until they finally shed it, a process known as molting. Each caterpillar goes through four molts during this stage of life, and with each one, its coloration is slightly different. And by the time it is done growing, it has reached about 2 inches long. After its final molt, the caterpillar pupates. When it finds a safe place, either a leaf or a branch, it uses a strand of silk from its spinneret (a small hole just below its mouth) to create pad. The caterpillar then hangs upside down from its pad. Its skin opens, revealing a Painted Lady Butterfly chrysalis, or case underneath. Inside this case, the caterpillar transforms. It turns to liquid and reforms itself entirely, and reforms into a butterfly. During this time, the chrysalis turns from an opaque, dull brown to transparent, signaling the butterfly is getting ready to emerge. What does a Painted Lady Butterfly eat is a common question people inquire about. Painted Lady butterflies drink their food, as opposed to biting and chewing it. This is due to the shape of their proboscis, or tongue, which is curled up. It uncurls its proboscis when it is ready to eat. Its favorite food is nectar, or the sweet liquid found in many plants. View a video of a Painted Lady Butterfly eating. So, which plants do the Painted Ladies feed from? The list is actually quite long. Some of their favorites include thistle (a common weed in the United States), mallow and hollyhock. Other common food sources for Painted Ladies include clovers, asters, ironweed, milkweed, giant goldenrods, marigolds, blazing stars and daisies. It’s also not that uncommon to see them around picnics or barbecues where fruit is being served. Painted Ladies cannot resist the sweetness of watermelons, cantaloupes and other juicy fruits. When adult female Painted Lady butterflies are ready to lay their eggs, they do so on the leaves of their favorite plants. This is because just as the butterflies enjoy the nectar of these plants, the caterpillars enjoy munching on the leaves, which provide them the sustenance they need to grow properly. We’ll answer the question "how long does a Painted Lady Butterfly live?" The entire life cycle of a Painted Lady butterfly lasts anywhere between one and two months. The egg stage is fairly short, requiring only 3 to 5 days of incubation. The caterpillar, or larva, which goes through four stages of molting, lasts for 10 to 12 days, eating continuously throughout this time. After the caterpillar forms into a chrysalis, it takes 7 to 10 days for its transformation to be complete. An adult Painted Lady butterfly lives for about 2 weeks. Now you know the answer to how long do painted lady butterflies live. View a video of how long Painted Lady Butterflies live. Painted Lady butterflies are one of the most widely distributed butterflies in the world. And they are extremely adaptable. They can be found throughout North and Central America, Europe, Asia and Africa. While they prefer open meadows and fields, they will generally be found anywhere sunny that provides sufficient food. As such, they can be found in places such as suburban and agricultural areas, wetlands (bogs, swamps and marshes), grasslands, mountains, deserts, taigas and rainforests. View a video of Painted Lady Butterflies in their habitat. tend to follow rainy periods in the deserts. Despite their size, butterflies are very symbolic creatures, with significance in cultures all over the world. Their significance also spans centuries. In ancient Greek mythology, the butterfly is used as a symbol of the Goddess, Psyche (which translates to English as "soul"), who is connected by a passionate love to Eros, the God of love. In this association, the soul (represented by the butterfly) is bonded to love. Many Asian cultures connect butterflies to love, too, as well as marriage. Japan sees a butterfly as a symbol of a happy marriage while China sees two butterflies as a symbol of a young, harmonious love. In Ireland, the butterfly is believed to carry the souls of the deceased. This belief is also common in Mexico, where the butterfly is celebrated during the country’s "Day of the Dead" celebration. In many old Native American cultures, the butterfly is viewed as a messenger. The butterfly itself undergoes a major transformation in its lifetime, from a caterpillar to a butterfly. This transformation is often used a symbol of change in our lives. All throughout the world, the butterfly represents love, lightness, playfulness, celebration, growth, transition, harmony, endurance and hope. 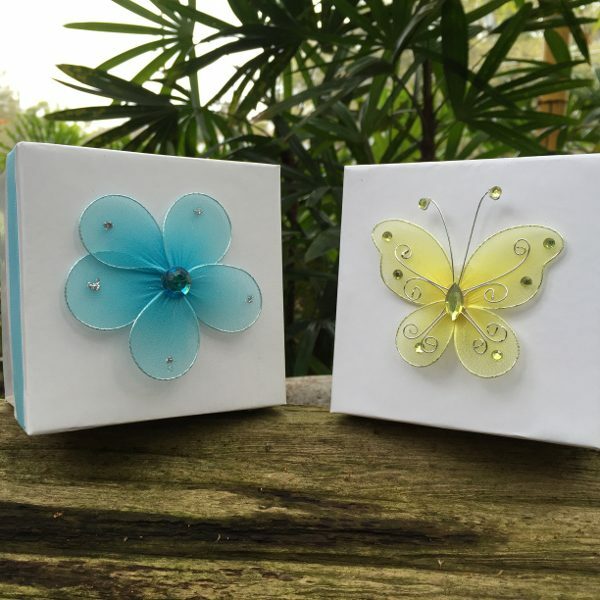 It’s no wonder butterflies are a desirable addition to a significant event, such as a wedding, funeral, memorial service or milestone birthday or anniversary. There are thousands of species of butterfly. So, why, of all the butterflies out there, are Painted Ladies the most popular choice for such momentous occasions? One of the first reasons is their size. Painted Lady butterflies are one of the largest species of butterfly, measuring 5 to 7 centimeters. This is quite an impressive growth from their pinhead sized eggs! These butterflies are also brightly colored, and will stand out amongst their surroundings. Because they are so big, as well as bright, all of your guests, regardless of the size of your event, will be able to see and enjoy the beautiful sight of butterflies being set into the air. A second reason Painted Ladies are perfect for your event is due to their nature. Have you ever watched a butterfly in motion? Most of them flit around erratically, and are hard to keep an eye on. Painted Ladies, on the other hand, are slow, graceful fliers, with an ethereal feeling about them. Instead of rapid wing movements, they seem to glide from place to place. Your guests will be mesmerized by the beauty of their movements. Along with how they fly, Painted Lady butterflies are also quite sociable. While most other butterflies spook easily, and take off the moment someone comes near, Painted Ladies do not. Upon release, they tend to linger for quite some time, landing on tables and chairs nearby. Children and adults alike will delight in seeing these majestic insects up close. Some guests may even be lucky enough to have a butterfly or two land on their dress, jacket sleeve or hand, making for some unique, touching and memorable photographic moments. Before dusk settles in, then the butterflies will say their good byes and wander off in search of food and shelter. One of the biggest reasons that Painted Ladies are so popular for butterfly releases is due to the fact that they are native to so many places all over the world (with the exception of Australia and Antarctica). Because of this, they can thrive just about anywhere. Whether your event is in Florida, San Diego, California, or Pittsburg, Pennsylvania, or anywhere in between, the Painted Lady butterflies will be able to adapt and survive in their new surroundings. This is one of the major factors that sets Painted Ladies apart from the Monarch butterfly, another popular choice for releases. Monarchs are not native to all regions, and cannot go west of the Continental Divide. Painted Ladies can be shipped anywhere in the continental United States, so the location of your event is not an issue. What Can You Use Painted Lady Butterfly Releases For? to be used in a variety of events and special occasions. There are many events for which a Painted Lady butterfly release is an appropriate and beautiful gesture. They can be used for weddings, when the butterfly would represent love and change, as two people joined together to start their new life together. You can also choose to have a butterfly release during a funeral or memorial service, when the significant creatures would represent the soul, life and rebirth, showing guests that the departed has been on an incredible journey and made many changes throughout his or her life, and is now on to a new adventure. 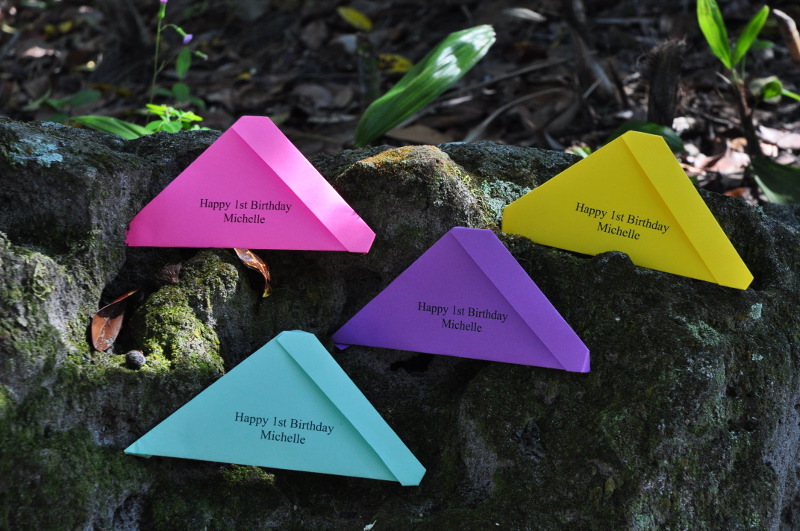 Other types of events you may want to use a butterfly release for may include a milestone birthday or anniversary. Weddings are times of happiness. They are about the joining together of two souls who love each other to start their new journey as one. What better way to physically represent the love of two souls than with Painted Lady butterflies? Butterfly Release Wedding at Kaloy & Roxy’s Wedding Ceremony. 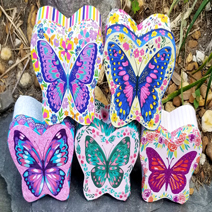 Whether you have a butterfly theme, or just want a unique touch, Painted Lady butterfly releases can do just that. Not only do they create some excellent photo opportunities, they give you and your partner a special moment to share as you are surrounded by these delicate creatures. And they allow your guests to see and share in your love. Funerals are typically a sad time, and understandably so. After all, you have just lost someone important to you. But at the same time, funerals are also a time to remember and celebrate the life that your loved one lived. 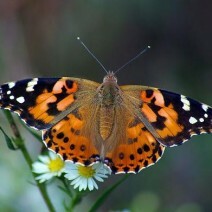 Painted Lady Butterfly releases for funerals can help to lend some comfort to you and your guests. The life cycle of the butterfly is often used to represent the life cycle that humans experience – the caterpillar stage being life, the chrysalis being death, and the butterfly being rebirth or resurrection. Painted Lady Butterflies show your guests that the soul of the departed is still present, even if the body is gone, and let everyone know that it is on to its next adventure. Though similar to a funeral, a memorial service is a different way to honor the life of a departed loved one. The main difference is that the body is not present at a memorial service. The service can also be held at any time, be it a week after death or a year. No matter when you hold it, having a Painted Lady butterfly release for your memorial service, again, is a wonderful way to celebrate the life that has passed. How Does a Painted Lady Butterfly Release Work? You may be wondering what a butterfly release is. 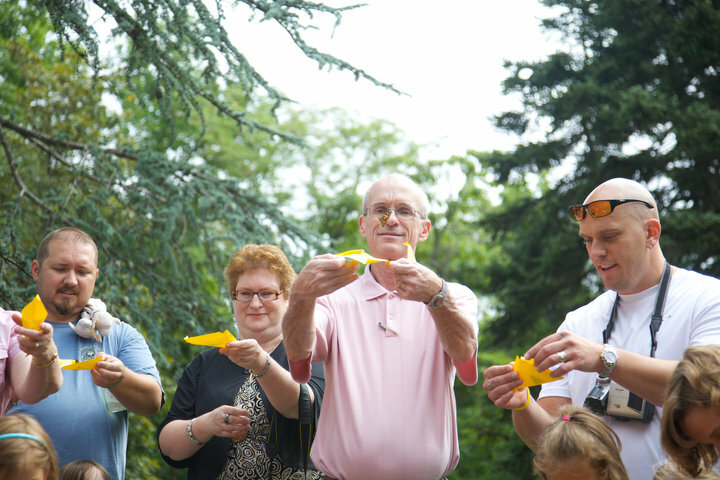 A butterfly release is a unique addition to many special events. They are particularly moving for weddings, funerals and memorial services. For weddings, they are an excellent touch for a butterfly theme. 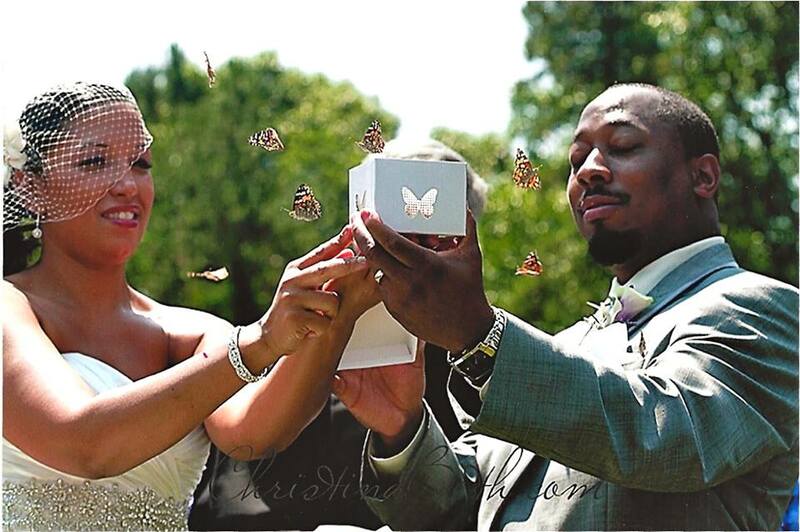 Regardless of your theme, releasing butterflies is the perfect way to surround you and your guests with the symbol of love and joining together of two souls on their new life together. For funerals and memorial services, they offer a comforting reminder that your loved one is on the next step of their life, heading to the afterlife or getting ready to be reborn into their next great adventure. Not to mention that having a delicate butterfly land nearby or on your shoulder can be a comforting reminder that your loved one is still there with you, even though the physical body you knew is not. In any of these events, you select the moment for the butterflies to be set free, creating an emotional moment that no one will soon forget. View a how to guide on Releasing Painted Lady Butterflies for your events in the video below. There are two types of butterfly releases that you can choose from: mass and individual. A mass release is done by you and usually one other person. 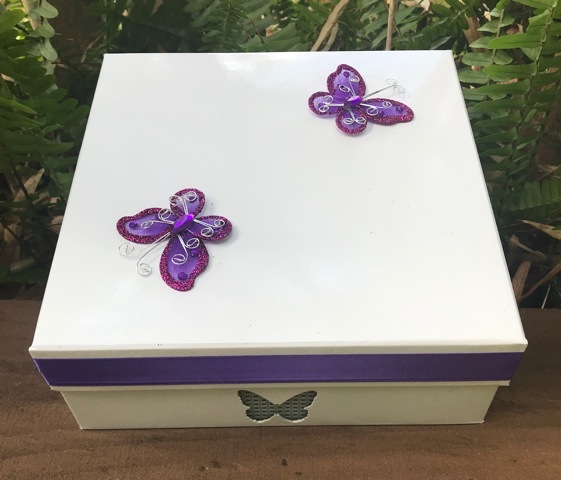 All of your butterflies lie in wait in a single, decorative box. When you are ready you lift the lid to let your butterflies fly free, creating a surprising and magical sight for your guests. 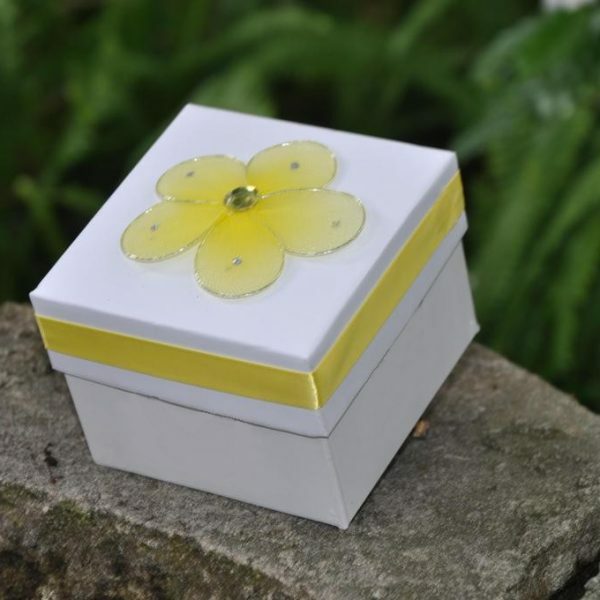 And after the event, your decorative box can be used to store a few precious mementos from the day, creating a beautiful catalogue of a wonderful moment. An individual release allows your guests to get involved in the release with you. 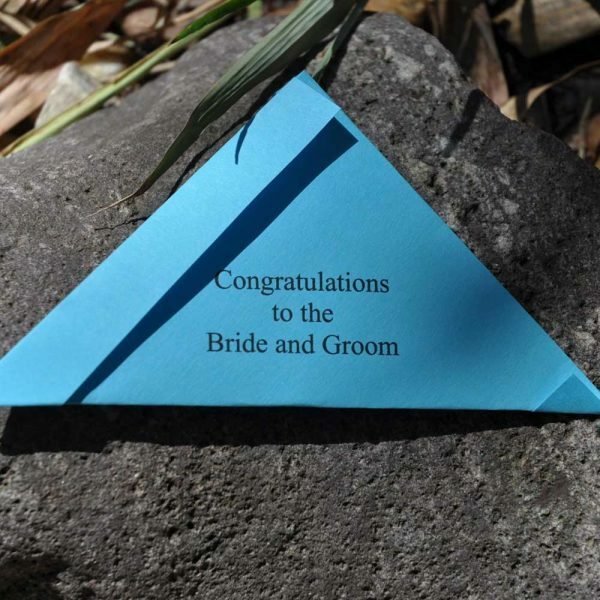 You choose the number of butterflies you need, depending upon your guest list, and your butterflies are sent in their own individual, personalized origami envelopes. With an agreed upon signal, your guests simply have to open their envelopes to set their butterfly free. They can even whisper a wish to it first, and let it carry that wish away with them so that it may be granted. You will choose the type of release you want when you place your order for your Painted Lady butterflies. 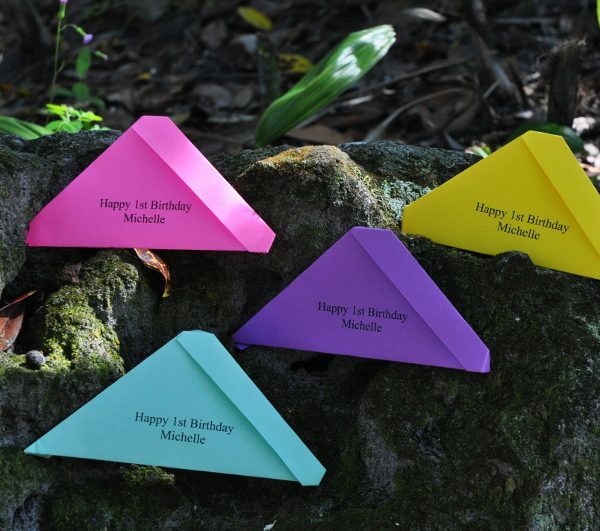 You will also choose the decorative box or personalized origami envelopes that you want. Your butterflies are then shipped to arrive the day before your event. When they arrive, regardless of your choice, they will all be in a box in their own envelopes (which will be plain if you have chosen a mass release) with an ice pack. The ice pack keeps the butterflies dormant, which is done for their own safety. When your box arrives, be sure to change the ice pack in order to keep them asleep until the following day. They should never be placed in the refrigerator or freezer. On the day of your event, you will need to give your butterflies at least 30 minutes to an hour to wake up. All you need to do is remove the ice pack. If you are doing a mass release, use the time that they are still dormant to transfer the butterflies to their box. Don’t wait until they are awake, or you may wind up losing one or two of them in your home. When the moment arrives for you to release them, all you need to do is simply give the box a very light shake to motivate the butterflies, and lift the lid. The exact moment you choose to release them is up to you and anyone else doing the release with you. After all, it’s your special event, and your release should be unique to you. If you are doing an individual release, your Painted Ladies will arrive already in their personalized envelopes. Before the beginning of your event, hand the envelopes to your guests as they arrive. Be sure to warn them that there is a live creature inside and they should handle the envelope delicately. When you are ready, give your guests a signal (again, the exact moment depends upon your individual event) and let them open their envelopes and set their butterfly free. Even though Painted Ladies are an adaptable butterfly, and can thrive in just about any environment, there are still a few things you should keep in mind before setting your butterflies loose. First, always set them free outside. If they are released indoors, they may never make it out. And when you do set them free, make sure that there are still plenty of daylight hours. This will ensure that you get to spend plenty of time with your butterflies before they head off at dusk in search of food and a safe place to sleep. The weather must also be temperate. Painted Ladies may be hardy, but if it is too cold, or even too hot, it is not good for them. Ideally, they should be released on a day when the temperature is going to be no cooler than 65 degrees, but no warmer than 80. It should also not be raining or overly windy, as these conditions are detrimental to these delicate creatures. By following these guidelines, you will be sure to have an enjoyable, memorable butterfly release that people will be talking about for many years to come. 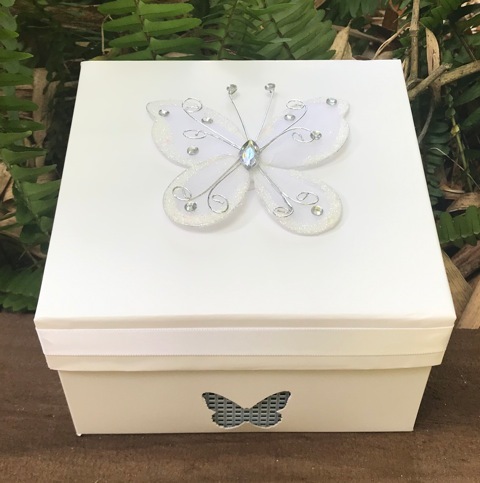 Butterfly releases are a beautiful and unique addition to any special event. The Painted Lady butterfly is the perfect choice to do just that. 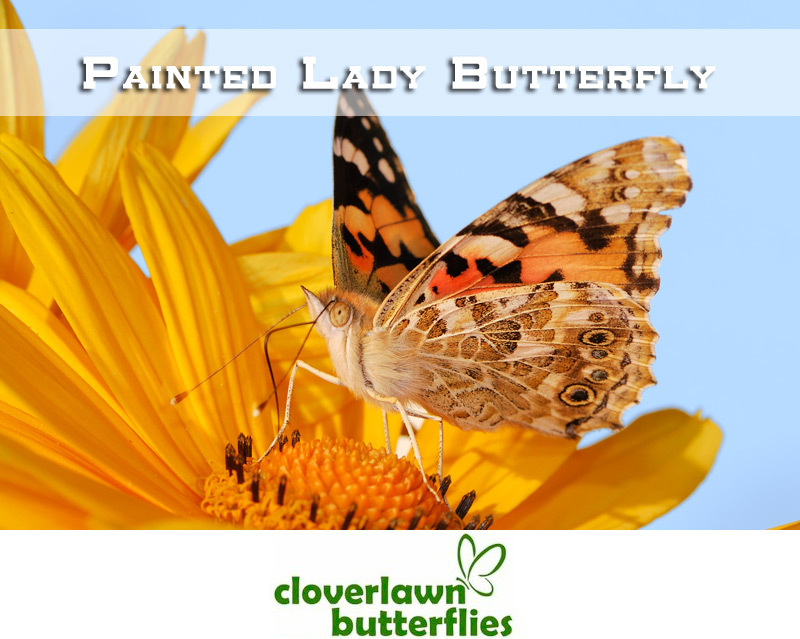 At Cloverlawn Butterflies Butterfly Release Company, located in Orlando, Florida, we specialize in raising healthy, quality Painted Lady butterflies, and have been doing so for many years. 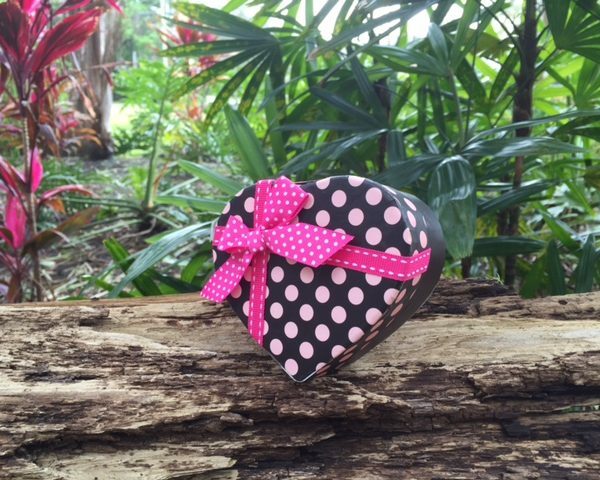 We ship our butterflies all throughout the continental United States. Your event is important to you, and we understand that. As such, we want to do everything to help you make it that much more special. 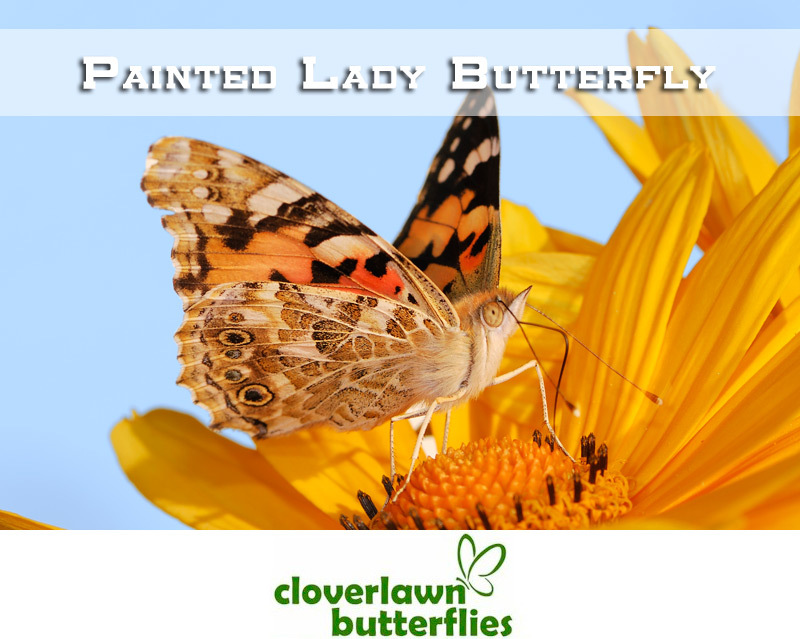 We take pride in our work and believe that our Painted Lady butterflies can do just that. 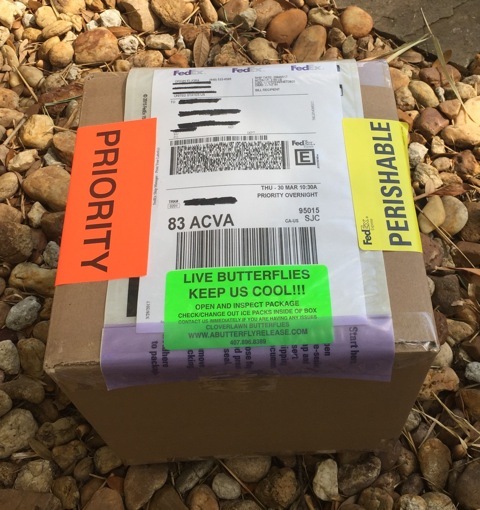 If you are ready to place your order for a butterfly release, purchase online or contact us today, we here at Cloverlawn Butterflies Butterfly Release Company look forward to serving you!